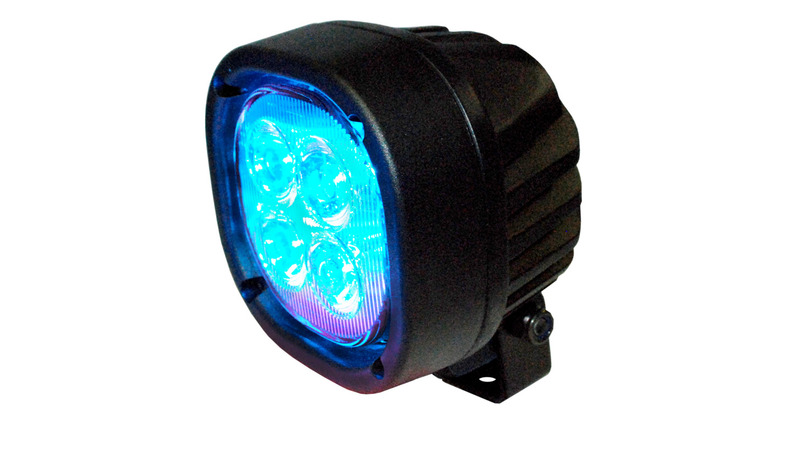 LED-work light with blue light, that can be used as a safety light for forklift trucks or for tractors at chicken farms. 900 theoretical and 600 effective lumens. 9 - 60 V. EMC-class 5 acc. to standard EN55025. IP protection class 69K.